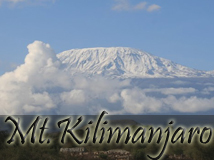 Kilimanjaro-Kizimba Expeditions Ltd is a new tour operator that specialises in tours to Tanzania and Kenya. 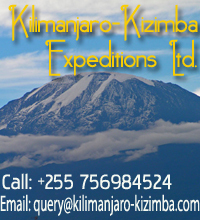 We at Kilimanjaro-Kizimba Expeditions guarantee to meet our customer�s needs. We are located at Moshi in Tanzania and therefore we have expert local knowledge. Our staffs are very experienced and have a vast knowledge of Tourism. 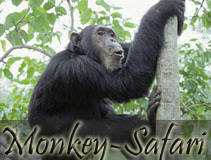 Our consultants have many years experience and are specialists in Tanzania�s National Park�s and in Kenya. Our tour company can provide facilities such as making a booking with a travel agency, making a reservation at a Hotel plus the following Lodge Safaris, Luxury Tented Lodges, Mobile Camps Private Temporary Camps (Special) and lastly camping safaris. 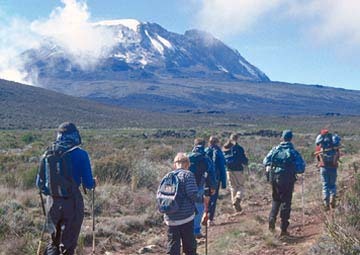 We also offer help in organising trips to climb Mount Kilimanjaro, Mount Meru and Mount Oldoinyo Lengai the only Volcano which is still active nearest to Lake Natron (the home of the Pink Flamingos). We also offer Hunting Safaris with Game Trophies and Cultural Tours to more than 120 tribes which live in Tanzania and learn their Culture in the Villages in which they live. 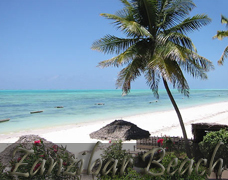 We can also arrange a tour to visit Zanzibar to visit the Beach and Pemba Iceland and we can arrange special interest tours to suit your budget. However if one of our standard packages is out of your budget, a personalized tour package can be arranged with one of our consultants. Since Tanzania is so gifted with a wide diversity of wildlife and breathtaking locations for leisure we can present many different holidays. Nevertheless we aim to make your stay be as comfortable and relaxed as possible and with our experienced guides we can ensure an unforgettable experience. � 2012 Kilimanjaro-Kizimba Expeditions Ltd. All Rights Reserved.